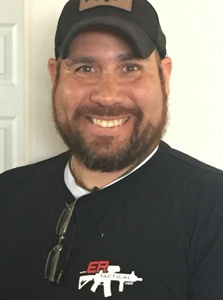 Rob Orgel joined The Young Marines as a teen in 1998 in Saint Louis, MO earning his way from Recruit to Sergeant over the course of about two years. He then attended ARMY AND NAVY ACADEMY, a military school in Carlsbad, CA. achieving the rank of 2nd Lieutenant by graduation in 2003. Orgel joined the USMC in October of 2004 and graduated recruit training in January 2005, at MCRD San Diego, CA. Then he attended the School of Infantry, Camp Pendleton, CA and earned the military occupational specialty of 0311(Infantry Rifleman). Sergeant Orgel’s first unit was Lima Company 3nd Bn 1rd Marines where he participated in a deployment to Iraq (OIF-3) as a point man. 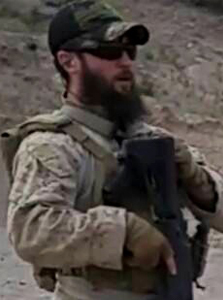 In October of 2006 he was transferred to India Company, 3rd Platoon as a Team Leader for the 13th MEU Special Operations Capable to Iraq (OIF-6). In October 2007, then he was transferred to 1st Marine Regiment and reenlisted in order to deploy to Afghanistan. He was promoted to the rank of Sergeant on January 1, 2010. He served 1st Marine Regiment for a year long deployment in Afghanistan. On January 15, 2012 he came to School Of Infantry West to work as a Combat Instructor. By surpassing his peers, he moved ahead as a weapons subject matter expert. Shortly after he was moved to an advanced team of teachers called the Instructor Group. A short time later, he again advanced to the hand selected group of instructors called Testing and Evaluation Team. Personal awards include, a Combat Action Ribbon, two Navy Unit Commendation, three Marine Corps Good Conduct Medal, Two Operation Enduring Freedom Medals, three Iraq Campaign Medals, four Sea Service Deployment Ribbon, a Global War On Terrorism Service Medal, a Certificate of Commendation, a National Defense Service Medal, a NATO medal, and a Meritorious Mast. Brantley Christopher Young lives just outside of Chattanooga, Tennessee. He joined the U.S. Navy at 18 yrs. After Boot Camp Graduation Brant went to Hospital Corpsman School. Upon completion of Corps School, Brant was Sent for additional training at Field Medical Training Battalion in Camp Pendleton, CA. After completion of FMTB he was then attached to 1st Med Battalion, Charlie Company. Brant was part of a mobile hospital unit, he was trained to perform life saving techniques in a mobile hospital and also assist Marine units on patrol. Next he was transferred to Battery M, 5th Battalion, 14th Marines Regiment, where he was promoted to Petty Officer 3rd class. 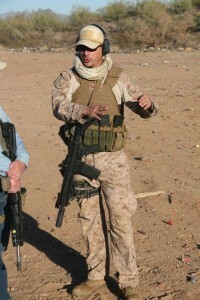 Brant was in-trusted to certify Marines as Combat Life Savers by teaching the Combat Life Savers Course to several Marines. Doc was honorably discharged as a 3rd class petty officer after 5 years of service. Following his service in the Military Brant Young worked for 3 years as a private security officer in Tennessee. Brant was responsible for the security of many companies and organizations including several high value properties. Brant was quickly recognized for his proficiency with firearms and was asked to assist in the training of other private security officers. Brant’s robust background in the Military and private security industry have teamed up with Emergency Response Tactical to offer you advanced firearms training. Sean Koehler joined the United States Marine Corps in 2005 and completed recruit training at MCRD San Diego, California. He attended Marine Combat Training at Camp Pendleton and went on to complete Field Artillery Fire Finder Radar Operators Course in Fort Sill, Oklahoma achieving the MOS of 0842 Counter Battery Radar Operator. Sergeant Koehler’s first unit was HQ battery 5th Bn 14th Marines. He was mobilized in 2007 and deployed with 11th Marines Target Acquisition Platoon to Ramadi, Iraq. In 2010 Sergeant Koehler mobilized and deployed again with 11th Marines TAP to Helmand, Afghanistan. Personal awards include, 2 Naval Unit Commendations, National Defense Medal, Operation Iraqi Freedom Medal, Operation Enduring Freedom Medal, Global War on Terrorism Medal, 2 Sea Service Deployment Ribbons, NATO ISAF Medal, and a Meritorious Mast. Julian Long is a retired Police Officer from a major metropolitan city in western United States who also served his country as a member of the United States Marine Corps. While as a Marine, Long served from 1989 thru 1993, with the Fleet Anti-terrorist Security Team (F.A.S.T Co) in Rota Spain, Sigonella Sicily, and Naples Italy. He then served with 2/2 Weapons Company Surveillance and Target Acquisition Platoon (S.T.A) as a Scout Sniper. Long then transitioned to his law enforcement career, first as a member of the Patrol Division, then Metro Gang Unit, and ending his career as a member of the Metro Special Weapons and Tactics Team (S.W.A.T). His tenure in law enforcement resulted in numerous medals and citations, to include the Police Medal of Honor, and a nomination for the 2001 National Top Cop Award. 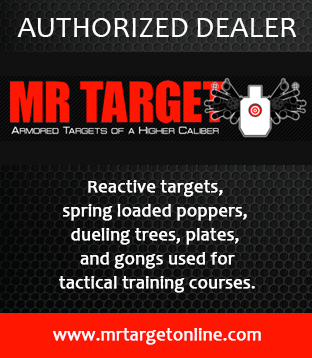 Long, brings vast real world knowledge, tactics and experience to students who attend the Emergency Response Tactical (ERT) courses, by strict adherence to the curriculum created and set forth by the highly experienced and talented leaders of the ERT organization. 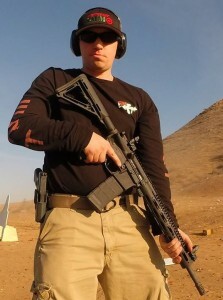 California born Matt Pfeifer enrolled in several training classes at Universal Security and Training LLC located in Boise, Idaho while living there. Within a short time, he was hired by the company to work in several capacities including Range Safety Officer (RSO). He also acted as a member of their Armed Security Detail protecting high profile clients. He also aided in a local S.W.A.T. Teams’ training event.